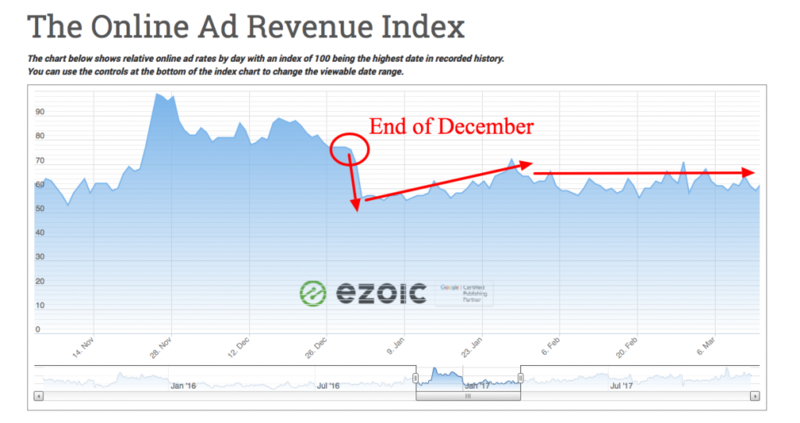 For digital publishers, it’s common to see seasonal ad earnings declining after the turn of the calendar year. Seasonality plays a critical role in both website traffic and website revenue. Digital publishers are most grossly affected by these lower ad earnings in January than in any other month. The reason for this is two-fold. First, traffic for many sites is lower during this time of year due to a number of factors that affect typical website browsing behavior (people are away from work, out of school, traveling, etc.). Second, ad rates are at an all-time low; as advertisers typically spend the largest portion of their budget in Q4 during the holiday shopping season, and let their budgets dwindle to start the new fiscal year; creating less open auction competition and lower overall ad rates for publishers. Below are resources to evaluate your seasonal advertising trends, info on why ad earnings are lower in January, and some insights into when you can expect them to go back up on your website. This info will help you discern whether or not your site is being affected more than other sites and recovering from the year-end drop better or worse than other publishers. If you’re trying to troubleshoot what you think might be a non-seasonal drop in ad earnings, you should read this comprehensive guide that outlines a way of truly determining the cause. Is everyone earning less ad revenue in January? This is what almost all the publishers I talk to want to know. They want to know if their downturn in revenue is more dramatic than their peers. Unfortunately, it can often seem like revenue dips are more than just seasonality coming off of a record high month like December. Many sites benefit from seasonal revenue and often just assume that it is the result of optimizations and adjustments they’ve made on their site. While this may be a contributing factor, the truth is that we’ve seen record rates in the past two years on Black Friday. Additionally, ad rates are generally trending upwards year over year. This means that overall, you could be doing nothing and still be earning higher EPMVs (earnings per thousand visitors) this year than last year. This is often hard to contextualize when you’re seeing massive drops starting on January 1st. The best tool for truly viewing ad earnings trends — both currently and retroactively — is the Ad Revenue Index. You can see a shot of the index above. 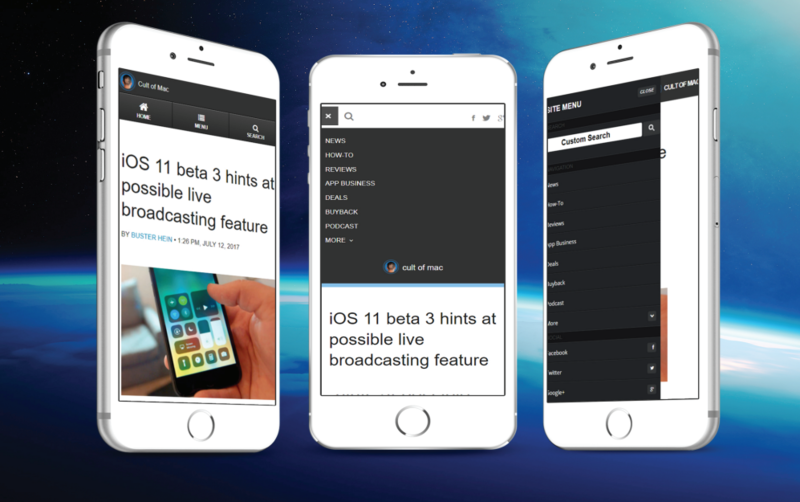 This index allows sites to see actual ad earnings from thousands of sites across the globe. This truly allows you to see if you are part of a natural ebb and flow of seasonal advertising and marketplace trends or if your changes are the result of something different. When can I expect my ad earnings to rise again? We can see that pretty much every year that advertising spending starts surging in November; peaking on “Black Friday”. This boom of spending has most sites earning at a much higher rate than normal. This results in ad earnings that are above average in November and December. Unfortunately for publishers and site owners, ad earnings typically bottom out in early January with slow recovery until mid-February. After that, the market begins to stabilize back out with peak recovery coming in April. Normal marketplace movement then occurs throughout the rest of the year until the big boom comes again at the end of October. Am I being affected more than others? It is common to wonder this. One of the best ways to examine if you’re the victim of unusual earnings losses is to look at traffic and revenue together. Understanding your session revenue, or EPMV, is the best way to do this. Divide your earnings per thousand visitors for a given date range to get your average EPMV for that period. Compare that with previous months and previous years during the same period. If you find that your EPMV is lower this year than last year during the same period, there may be something else going on. If this is the case, it may be worth plotting out your monthly EPMV for the past two years to see how seasonality is affecting your website in particular. Compare this with index and see how your site compares to rises and falls within the industry. It’s very important to keep in mind that session earnings are a complex ecosystem. Everything from user engagement to SEO can affect this. You may have done something to try to improve user experiences on your website that actually provided less authentic engagement and less value to advertisers somewhere along the way. Understanding what changes were made when these dips occurred is important; as rates might go up briefly after these kinds of changes, but then fall dramatically. How can I mitigate the impact of January ad revenue loss? I wrote a blog a few weeks ago about what some of our most successful publishers did in 2017. In that piece, one of the things I recognized was how many of the top publishers executed most of their web property changes and experiments during the early part of the year. Currently in a lull? That isn’t much fun. It might be a good time to actively pursue your audience more than normal. Newsletters can seem old and tired; however effectively capturing visitor e-mails and executing targeting efforts to keep visitors coming back can help keep pageviews up during down times. This strategy can help promote new content, assist with SEO, and keep your best visitors engaged. If you’re sitting on a newsletter list, now may be a good time to segment it up and to build out a few campaigns for your visitors. 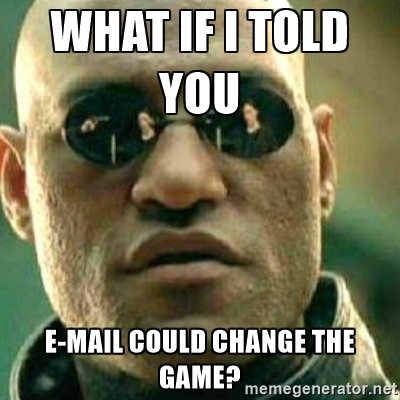 This could be as simple as sending them some of your latest and most relevant content or involving them in a contest. Don’t spam out your users, but consider what kinds of content might allow you to proactively reach out to them without ending up on their unsubscribe list. An inexpensive service like MailChimp can provide tools to schedule these during peak times and batch up deliveries for big lists so that you don’t get listed as a spammer. We covered how to share content and sponsor it on social media effectively here. However, it’s important to mention that down times are a really good time to work on these efforts. Ultimately, you need to consult tools like the Ad Revenue Index above to see how your site compares to marketplace trends. You can calculate your own monthly EPMV and compare it to your previous months and your year of year data to see if your January drop may be something more systemic than traditional seasonal trends. Unfortunately, seasonality is something all publishers deal with. January is particularly difficult; as it is often contrasted with a record month in December; however, patience is required. I’ve seen many publishers make rash decisions based on irrational data that harmed them for much longer than the seasonal lows of early Q1. Hopefully, you can apply these techniques to your site before you find yourself in any kind of a long-term slump. Additional questions or input? Leave it below. You explained it in detail. Wise. This is pretty good. You detailed it really well and as someone who has gotten used to it, it’s well done.